​Jose Mourinho has been drawn into a war of words with Paul Pogba once more, after the Manchester United manager reportedly branded the French midfielder a ‘virus’ following his side’s 2-2 draw with Southampton on Saturday. In the latest instalment in what has been an ongoing saga of discontent between player and manager at Old Trafford this term, Saturday’s damaging draw at St. Mary’s sparked yet another bout of conflict between the high-profile pair. 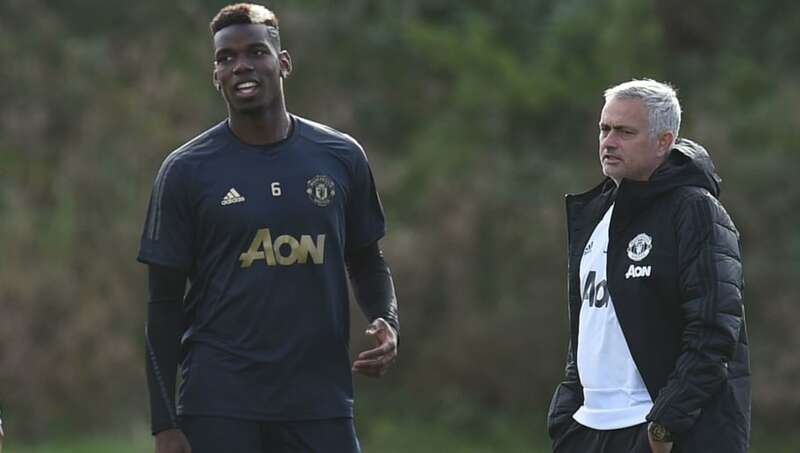 According to a report from the ​Daily Record, Mourinho launched a scathing dressing room attack on ​Pogba in the aftermath of ​United’s latest Premier League setback. Such was Mourinho’s displeasure, the United boss apparently called Pogba a ‘virus’ in front of the whole United team. Mourinho apparently picked out the Frenchman’s involvement in the match on Saturday as being of insufficient respect towards his teammates and the club’s fans. The report quotes a dressing room source, with Mourinho apparently blasting: “You don’t play. Fair play to Jose Mourinho, managing to put out an XI comprised mostly of defensive midfielders, to play against the team currently 19th in the league. Pogba had previously been benched in United’s last outing in the midweek Champions League win over Young Boys but was named in Mourinho’s starting lineup at St. Mary’s in light of United’s injury problems. The World Cup winner largely failed to repay his manager’s selection, however, as Pogba turned in an uninspired performance with little impact on proceedings. As noted in the report, the France star lost the ball eight times, also losing out on 15 of his 30 duels in the match. Meanwhile, Pogba’s key asset is generally his slick passing in the middle of the park, but the 25-year-old completed less than 85 percent of his passes on Saturday. The draw was an insufficient result in United’s bid to claw their way back up the Premier League table and towards the all-important Champions League places, as the Red Devils fell behind to two goals within the opening 20 minutes of the match. Though the away side’s fightback to claim a draw was a positive for Mourinho, United’s inability to take the initiative in the match is a further reflection of the team’s struggles for confidence and consistency this season. The fixture list does not get any easier for United as they head into the festive period, with Mourinho’s side facing a tough test at home to ​Arsenal on Wednesday next in the Premier League.